#AceFinanceNews – July.20: US oil settles at $50.15 a barrel; lowest since April 2nd 2015. US oil settles at $50.15 a barrel; lowest since April 2nd 2015. #AceMarketsNews – July.20: Nasdaq notches another record closing high as S&P 500 comes close. ​#AceFinanceNews – EGYPT:July.20: Egypt’s Prime Minister Ibrahim Mahlab will travel to Italy Wednesday for a three-day visit that will see him signing memorandum of understanding (MOUs) on prospective electricity, power and oil deals. Mahlab will meet with Italian President Sergio Mattarella, government officials and fifteen top businessmen in Italy, said Industry and International Trade Minister Mounir Fakhry Abdel-Nour in a statement reported by state news agency MENA Sunday. In addition to signing the MOUs, Mahlab is expected to start procedures between the Egyptian and Italian governments for building a new center for furniture production in Damietta-a city on the Nile Delta known for furniture making. Meanwhile, Italy’s Eni has discovered gas reserves of up to 15 billion cubic meters in Egypt’s Nile Delta region, with production set to start in two months, the Egyptian oil ministry said on Monday. #AceMarketsNews – U.S.July.20:(Reuters)The dollar jumped to three-month highs on Monday, extending its recent run of gains as expectations of a U.S. rate rise gathered pace, while gold prices plunged to their lowest in more than five years. The greenback posted its best weekly performance in about two months last week, after Federal Reserve Chair Janet Yellen reiterated that U.S. interest rates will probably rise later in the year. Data on Friday showing a robust pick up in U.S. consumer prices and housing starts also helped the rally. The strength of the dollar weighed on gold, which plunged as much as 4 percent, while platinum fell as much as 5 percent to its lowest since February 2009. Global equities eased off three-week highs hit on Friday, though European shares approached six-week peaks. Greece-related fears continued to recede as the country’s banks reopened for the first time in three weeks after a deal to start talks on a new international bailout. The dollar hit its highest since April 23 against a basket of major currencies before pulling back slightly to trade flat on the day. The euro hit its lowest since late April but last traded up 0.2 percent at $1.0853. The yen was flat at 124.09 to the dollar. The New Zealand and Australian dollars were big fallers in Asia but traders said the kiwi had recovered some ground after New Zealand Prime Minister John Key said the currency’s 25 percent fall over the last year had been faster than expected. It was last up 0.8 percent on the day. “All of the commodity currencies are taking a hammering from the dollar’s rise and in the broader scheme of things this is a small retracement,” said a dealer at an international bank in London. Gold dived, briefly hitting a five-year low as sellers in China dumped the metal against the background of the U.S. interest rate outlook and its consequences for the dollar. “The (gold) market (is) trading as a proxy for market expectations towards the timing and likelihood of an interest rate hike in the United States this year,” Barclays analysts said, predicting the weakness would continue with average prices of $1,150 per ounce. Analysts said selling in China, a major consumer of gold, suggested prices would remain weak. Spot gold last traded at $1,116.23 an ounce, having fallen as far as $1,088.05, its weakest since March 2010. Gold miners took a hit, although traders said market sentiment was helped by the re-opening of Greece’s banks. In Asia, MSCI’s broadest index of Asia-Pacific shares outside Japan slipped 0.5 percent. Japan’s stock market was closed for a holiday. German benchmark 10-year government bond yields edged up 1.4 basis points to 0.76 percent as signs of a return to normality in Greece were offset by the prospect of hefty redemptions and bond coupon payments by month-end. 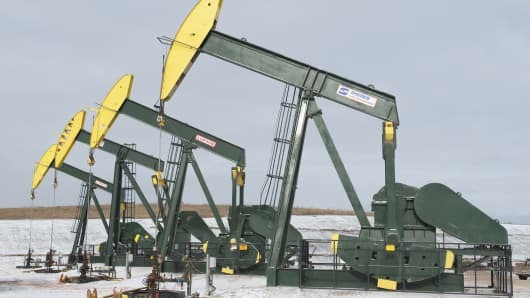 Crude oil prices edged higher after posting their third consecutive weekly loss last week on expectations of increased o exports from Iran following a deal to ease sanctions on Tehran. Brent crude was last up 10 cents a barrel at $57.20. #AceMarketsNews – LONDON (Reuters) July.20: Britain’s top share index rose on Monday, boosted by the reopening of banks in Greece and positive broker comments about HSBC and Sports Direct. The blue-chip FTSE 100 index was up 0.3 percent at 6,796.21 points by 0805 GMT after falling in the previous session. Shares in HSBC rose 1 percent to 585 pence, adding the most points to the FTSE 100 index, after Citigroup raised its rating on the stock to “buy” from “neutral” and increased its price target to 635 pence from 625 pence. “Citi’s upgrade is benefiting HSBC. Despite its exposure to the Asian market, HSBC remains well capitalised and financially robust and is looking to streamline its operations wherever possible,” Richard Hunter, head of equities at Hargreaves Lansdown, said. “Some stabilisation in Greece has also helped market sentiment. If we don’t hear any bad news from Greece in the next couple of days, investors will turn back to fundamentals such as quarterly earnings,” he added. Greeks banks reopened three weeks after closing to stop the system collapsing, the first cautious sign of a return to normal after a deal to start talks on a new package of bailout reforms. Sports Direct shares rose 1.4 percent after Exane BNP Paribas raised it target price for the stock to 860 pence from 800 pence. Rolls-Royce rose 0.5 percent after the British engineering company, under pressure after successive profit warnings, said its aero-engine business won two new contracts totalling $2.23 billion. But miners came under pressure after gold plunged 4 percent to its lowest level in more than five years as bullion’s safe-have status took a fresh knock from mounting expectations of a U.S. rate hike. Gold miners Randgold Resources and Fresnillo fell more than 2 percent. Mid-cap company Aveva surged 29 percent after France’s Schneider Electric said it would combine its software unit with the British company in a reverse takeover designed to create a global leader in industrial software.